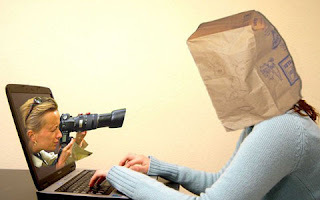 People who connect to Facebook and Twitter want to stay anonymous. Every day, millions of people connect to Facebook and Twitter, do shopping online or comment on articles on news websites and want to stay anonymous. These activities became quite common but leave traces and the user does not always measure the consequences of this: some personal information, such as the age, address and shopping habits are collected and used by commercial websites for commercial purposes. This even led to a new type of job, called the “data miners”: they capture and manipulate your personal data to provide advertisers with such information. Marc Schrems, an Austrian student, has thus given Facebook people some nightmares, as he has asked them repeatedly for any information that Facebook may possess about him. He finally received and analyzed all the content that Facebook has stored on him: there are his messages, but also deleted posts that Facebook keeps or geolocalization information that Facebook has kept about you, without you realizing about it: these are the places where you connected to the Internet which Facebook remembers of. The worst thing is that such data can be used by the police to investigate about you and this is completely legal. So be careful on what you post on the Internet and to whom you publish it to! And there are even worse things that you are not even aware of! If Facebook claims not to sell your information to corporates, your activity on Facebook and other websites can be tracked and reused. On most non-paying websites, without you knowing it, your online activity is being tracked by advertising sites that record your connections through cookies and other tracking systems. This information is stored on servers that represent loads of data. Then websites you connect to will display advertising banners to suit your taste and match with what you have watched on the Internet. The information of your connection would indeed have being cross-checked with other databases (age, geolocalization …) and software by data miners who deal with 85% of data users information on the Internet. Web users feel thus more and more manipulated. A recent European directive attempts to control this spying on the Internet, but is difficult to implement, with such devices constantly evolving. If you want your Internet connections to be secure and anonymous, choose a VPN. A VPN service encrypts your Internet connections and keeps private the sites you have visited and the information you have left on them. Any information you send will directly goes into your secure virtual tunnel. With a VPN service like Le VPN, you can easily direct your traffic as coming from the following countries: France, the United Kingdom, the United States, the Czech Republic, Germany, etc. And your computer will be connected to an Internet network in one of these countries, while your ISP will not even know about your online activity. Changing your IP address, through a VPN service, is one of the most efficient steps to stay anonymous while being online.